SEC. 31. Supervision of Real Estate Salespersons. For real estate salespersons, no examination shall be given, but they shall be accredited by the Board, provided that they have completed at least two (2) years of college and have undergone training and seminars of at least twelve (12) credit units in real estate brokerage. Those salespersons who are registered with the DTI/HLURB or other salespersons who are in the active practice for at least three (3) years, as may be certified by a licensed broker or a real estate developer, prior to the effectivity of R.A. No. 9646 may also be accredited by the Board until 30 July 2011. Provided, further, That in both cases, such Real Estate Salespersons must have undergone at least one hundred twenty (120) training hours in real estate brokerage, and have submitted original NSO certificate of live birth/birth certificate, NBI clearance, certificate of educational attainment or its equivalent, notarized certificate of training or seminar and notarized certificate of their supervising licensed brokers, as may be required by the Board. Real estate salespersons shall be under the direct supervision and accountability of a real estate broker. As such, they cannot by themselves be signatories to a written agreement involving a real estate transaction unless the real estate broker who has direct supervision and accountability over them is also a signatory thereto. No real estate salesperson, either directly or indirectly, can negotiate, mediate or transact any real estate transaction for and in behalf of a real estate broker without first securing an authorized accreditation as real estate salesperson for the real estate broker, as prescribed by the Board. A real estate broker shall be guilty of violating R.A. No. 9646 or the IRR for employing or utilizing the services of a real estate salesperson when he/she has not secured the required accreditation from the Board prior to such employment. Those salespersons who are registered with the DTI/HLURB or other salespersons who are in the active practice for at least three (3) years, as may be certified by a licensed broker or a real estate developer, prior to the effectivity of R.A. No. 9646 may also be accredited by the Board until 30 July 2011. Provided, further, That in both cases, such Real Estate Salespersons must have undergone at least one hundred twenty (120) training hours in real estate brokerage, and have submitted original NSO certificate of live birth/birth certificate, NBI clearance, certificate of educational attainment or its equivalent, notarized certificate of training or seminar and notarized certificate of their supervising licensed brokers, as may be required by the Board. As you can see, for this group of real estate salespeople, there is no 2 years of college requirement. What is required is a prior DTI/HLURB registration, or a certification from a real estate developer or a real estate broker that that person has been in active practice for at least three (3) years. In addition, please take note of the 120 training hours. Bottomline: High school graduates who have been real estate salespeople for at least 3 years can still be accredited by the Board until 30 July 2011. That’s more than 10 months away from today, or an average of 12 hours of real estate training a month (or 3 hours a week), assuming your real estate developer did not give you any form of real estate brokerage training in the three years that you’ve been working with them. 3 training hours a week. It’s highly do-able, right? So there’s no need to be alarmist. There’s no need to be scared. Instead, what’s needed is hard work and dedication. HI CAN A COLLEGE GRADUATE ALLOWED TO TAKE THE REB EXAM? [From the Admin] Hello! Aside from a college diploma, you also need to earn 120 units in real estate subjects. Thanks! hello. do u have available seminars for high school graduates pursuing 120 cpe units for accreditation purpose? [From the Admin] Hi! If ever we hear of people offering 120-unit CPE seminars, we’ll let you know right away. Thanks! Hi ! just wanna know if there is still an extension in the accomodation for high school graduates accreditation of real estate salesperson after the Dec.31, 2011 deadline ? there are many beteranong ahente pa out there na high school grads but not well informed of the PRC classification for them. thank u so much ! Agape !!! [From the Admin] Hello! You can still apply with the PRC for accreditation as a Real Estate Salesperson after Dec. 31, 2011. What the deadline means is this: After Dec 31, 2011 those who are not PRC-accredited Real Estate Salespersons may not practice as RE salespersons. [From the Admin] Hello! We highly recommend that you coordinate with the real estate property developer that you are working with. Thanks! Hi, I have a few questions, hope you can answer me..
What if I am a high school graduate, not registered with DTI/HLRUB, but been to real estate from February 2007. Am I qualified at category 3? Is there a possibility that I can be accredited by the PRC? What are the requirements that I need to submit with the PRC? What if I have the 60 credit units (lecture), Do I need a document or certification saying that I have 60 hours of training/fieldwork to make it 120? Hope you can help me admin.. Thank you so much.. Please check with the PRC if they will accept your 60 lecture + 60 hours fieldwork as “120 hours of training in real estate brokerage.” Thanks! Hi i have been i a real estate practice for three years… now i have been working in a prestige real estate company as a sales person though theire requirement is a college graduate i manage to sink in.. the problem is that i am just a highschool graduate and we are required to attend the cpe seminar… my question is that will i be granted to be a registered sales person? how? [From the Admin] Hello! Please get assistance from your real estate company when it comes to documenting that you have earned the necessary 120 hours of real estate training. This will help you get accredited as a Real Estate Salesperson by the PRC. Thanks! 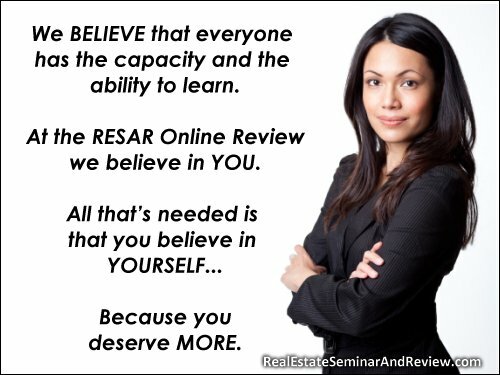 I have learned new things by your site RESA Law IRR and High School Graduates – Real Estate Seminar and Review. I’ll bookmark your blog and check again here frequently. Thanks for the recommendations you have discussed in RESA Law IRR and High School Graduates – Real Estate Seminar and Review. i garduated in college and i have a cpe credit of 18 hrs, i would like to clarify if i apply the accreditation of real estate sale person, what is the procedure? [From the Admin] Based on the RESA Law IRR (RA 9646), you need 120 hours of real estate training. Some CPE seminar organizers offer 120-unit courses for those who want to be accredited by the PRC as real estate salespersons. Once we get hold of the schedule and info of such providers, we will post the info online. Thanks! I’m a real estate agent for 20 years. I did not finish high school. Being a real estate agent, I was able to send my children to school, invested a small house of our own, I’m a widow and this is the only job I know to earn a living. Can I take a training seminar on real estate given by PRC? If so, what proof of educational attainment will I submit. [From the Admin] Hi! Can you secure some certification that, as of July 2009, you were registered with the DTI/HLURB? Or a certification from a real estate developer or a real estate broker that you, as of July 2009, have been in active practice for at least three (3) years? If you can, then please get additional certification that you have had 120 hours of training in real estate brokerage, then apply for accreditation with the PRC as a real estate salesperson. Now as for proof of educational attainment… Please present proof that you have graduated from grade school and have take some years of high school. It isn’t clear, though, what the minimum educational attainment is as far as the HLURB is concerned, based on the reference above. Section 31 of the RESA Law IRR appears to leave some room for interpretation, because it does not seem to have any required minimum educational attainment for those who were registered with the DTI/HLURB as of July 30, 2009. I’ve been in the real estate industry for the past 11 years. I am just a high school graduate that worked so hard over the years and was able to attain the position of being a Sales Manager working for a prestigious and reputable developer and handles a group of 8 agents. Now that this new law has been passed, I am now required to take the Broker’s Exam. With my academic credentials, we know that this is impossible. What would be the best option for me? I’ve heard about the accreditation for the “real estate salesperson”. Does this mean I can no longer handle a group of agents and that I can only sell directly and be under a broker? Will I put the company that I work for now at risk? Please clarify. Thank you. [From the Admin] Hello! We recommend that you get accredited as a real estate salesperson and partner with a licensed real estate broker. Then, earn a college degree in Real Estate Service or Real Estate Management, and later pass the Real Estate Brokers’ Exam. I have almost 4 years of college but was not able to graduate. I started out as an agent in Fil Estate and had been working now as a freelance real estate salesperson for the last 16 years. What category do I fall and how do I get to be Licensed?Please advice. [From the Admin] Based on the RESA Law IRR (RA 9646) you need to be a college graduate in order to qualify for the real estate brokers licensure exam. But you can become a PRC-accredited real estate person if you can get a certification from your real estate property developer or broker that, as of July 2009, you have had at least 3 years of active practice in real estate. You will also need to earn 120 training hours in real estate brokerage, and submit other documents such as “original NSO certificate of live birth/birth certificate, NBI clearance, certificate of educational attainment or its equivalent, notarized certificate of training or seminar and notarized certificate of their supervising licensed brokers, as may be required by the Board.” Thanks! hi what if he or she not high school graduate but more than 10 years practicing as sales person in the developer? [From the Admin] The part which requires a certification from your real estate developer that you have at least 3 years’ work experience as of July 2009 does not say anything about educational attainment. I’m not a lawyer, but in my opinion you qualify, because you have at least 3 years of experience in real estate. Please get a certification from your developer. In addition, please inquire with the PRC. We’re still waiting for their clarificatory guidelines. Thank you. Who will give the seminars and trainings for real estate salesperson? How much would be the cost for said seminars and trainings? [From the Admin] It will probably be the overseeing real estate broker, or the real estate developer that will handle the real estate training of the salespeople under them. can this online review be accredited as part of the 120 training hrs in real estate brokerage? hope to get positive reply, thank you and more power. [From the Admin] The online review is a supplement; it is not creditable to the 120 credit unit requirement. You will still need to enroll in the regular, live, face-to-face seminar conducted by accredited review service providers.